OMG! Very knowlegable, customized tour, a lot of fun. Kept a moving, but not rushed pace. Learned much about the Island, volcanos, and saw the newest black sand beach and lava fields created by the last eruption. Would definitely do another tour with Scott. Thanks! I highly recommend Scott's Volcano Van tour. It was AMAZING. Scott was an entertaining and friendly guide who delivered a personalized and informational tour of the island. Scott tailored the tour to meet our interests and was very knowledgeable about the geology and history of the areas we visited. We had so much fun! This was a great tour. 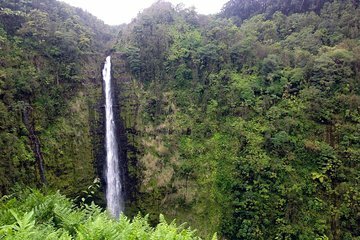 We saw waterfalls, and received the history of all the volcanoes on the island. Scott was a great guide. He stopped whenever we asked him in order to take pictures and we had great conversations. The views were amazing and I highly recommend this tour. Thank you Scott.